At one point in time, if someone mentioned the term “eco-friendly” in connection with flooring, many people would frown. While the use of eco-friendly materials is good for the environment, many people would avoid using it as flooring due to its unattractiveness. Luckily, modern design and technology is creating beautiful flooring that not only looks great, but is great for the environment. 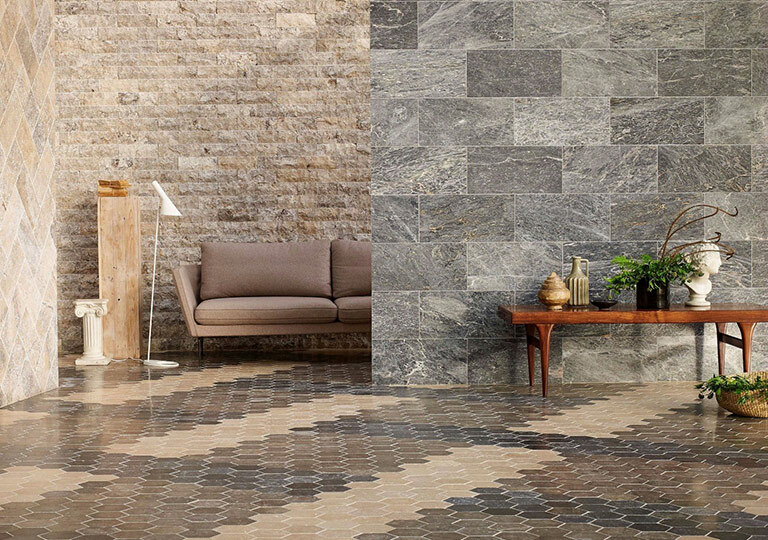 Here are a few eco-friendly, flooring solutions that will accent a modern home. 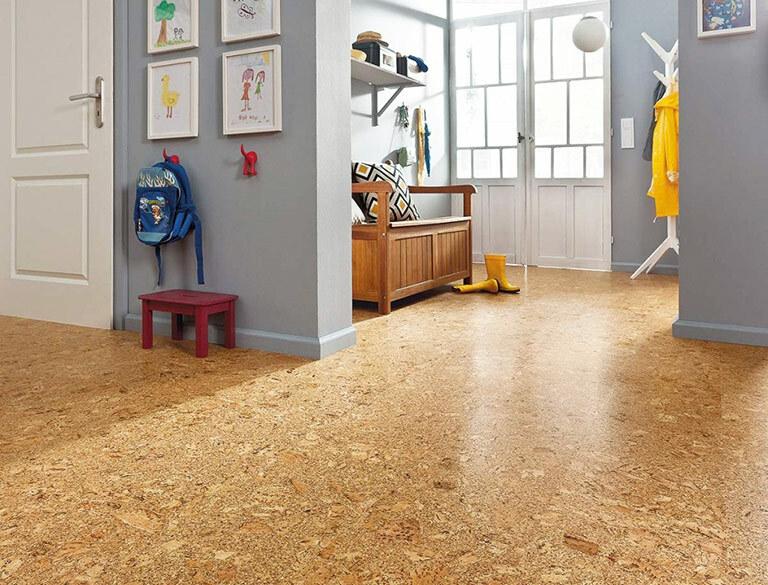 Cork is one of the newer types of flooring. 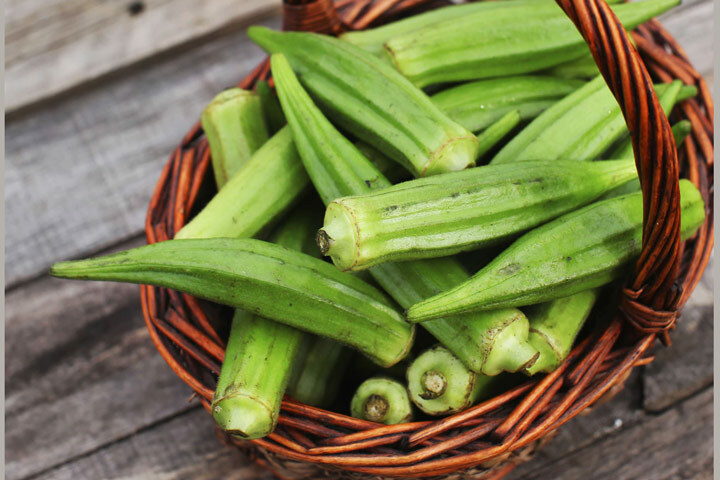 It is made from the bark of the cork oak tree and harvested in a manner that does not involve cutting down the tree. Cork is a versatile material. It can be painted or stained to match any décor. 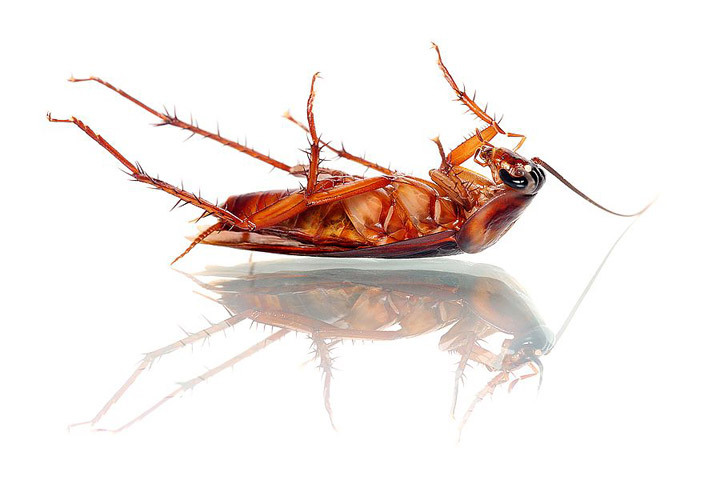 This type of flooring is also fire retardant, naturally repels insects and is antimicrobial. Not to mention, its shock-absorbent qualities make it ideal for little ones who take a tumble from time to time. Cork flooring is durable in some ways, yet because of its consistency, it can dent under the weight of heavy furniture. 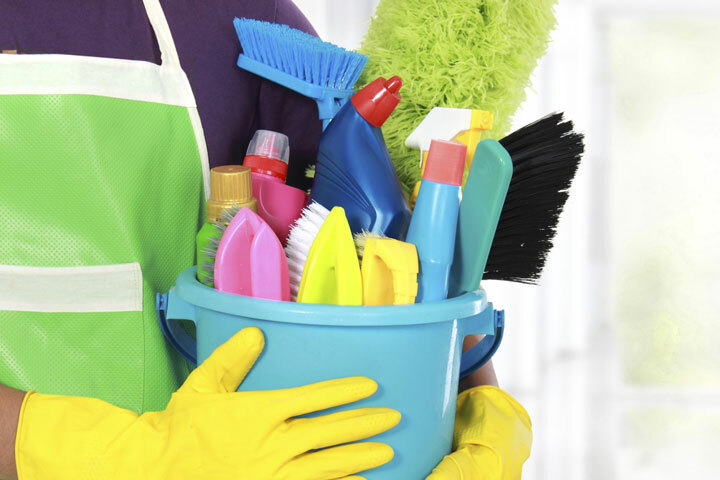 It can also be light-sensitive, and due to its absorbency, cleaning spills quickly is a must. Cork is also a quiet option, as you won’t hear clonking footsteps on the same level as flooring such as tile or hardwood. Even though bamboo has the properties of wood, it is really a grass. What makes bamboo a great alternative to wood is the fact that it has a faster regrowth rate and it does not require pesticides or fertilizers to grow. Bamboo flooring is easy to maintain and install. The variety of tones and grain patterns increases the ability to customize the flooring. The best part about choosing bamboo is the fact that is looks great with in any setting. 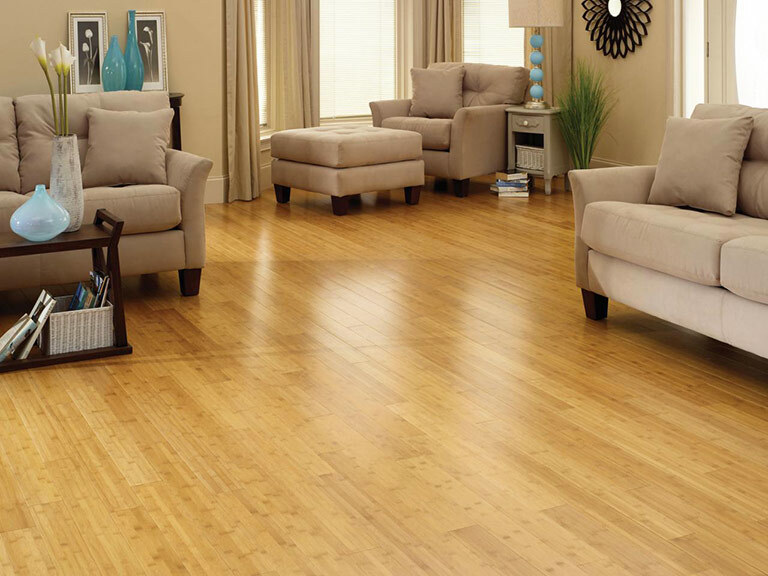 Bamboo flooring can be harder, more affordable and more moisture resistant than hardwood floors. Not all bamboo flooring is gold-toned. However, sometimes the process of darkening the bamboo affects its hardness. If you seek dark bamboo, make sure you understand how the darkening process will impact the durability of your flooring. Some bamboo flooring can be stained. There are many benefits to using natural stone flooring. It is durable, has a long lifespan and recyclable. 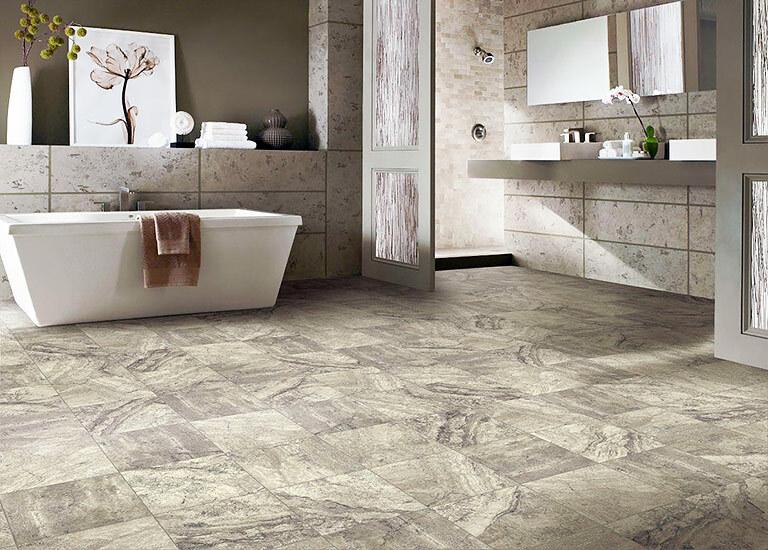 Natural stone flooring is made from sedimentary, igneous and metamorphic rock. Because no stone is the same, this environmentally-friendly flooring will add a unique and natural look to a room. Other characteristics that make stone flooring a great choice, it is easy to care for and looks better as it ages. Polished concrete floors are another popular, eco-friendly flooring choice. The concrete used is usually the sub flooring of the home or business. What makes the flooring a sustainable option is the fact that it does not use natural resources to produce and creates very little waste. Concrete also has the ability to absorb heat and keep the environment cool during the summer, reducing the need to rely on energy. 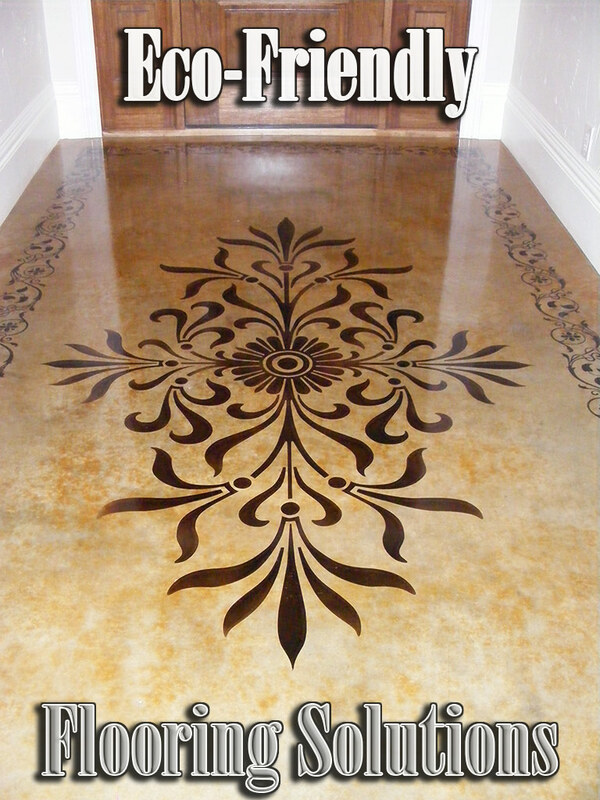 Concrete polishing can create a variety of decorative effects and it can be tinted to meet any design specification. Polished concrete floors are durable, easily cleaned and does not need to be replaced. This is not the linoleum of yesterday. In fact, the linoleum of yesterday sometimes had asbestos in the backing! A new wave of eco-friendly linoleum is making its way into modern homes, and it’s becoming quite desirable. Linoleum is comprised of biodegradable materials that include linseed oil, cork flour and limestone. This hypoallergenic flooring is water resistant, fire retardant and easy to clean. The long-lasting floor is available in a variety of colors and is coated to ensure that it lasts a long time. At one point of time, linoleum fell of favor. However, many designers are choosing to use this flooring. Using eco-friendly flooring solutions does not mean sacrificing aesthetics to save the environment. There are several types of natural flooring available, each with their own attributes. Whether you are interested in concrete polishing or want a unique cork flooring, there is environmentally-friendly flooring that will increase the aesthetics wherever they are installed.